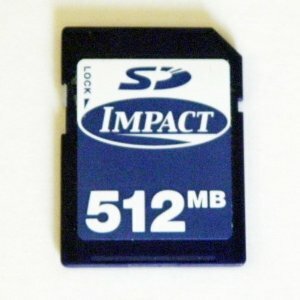 An SD card by Impact! Transfer speed 10MB per second. Download Speed: 20MB per minute.